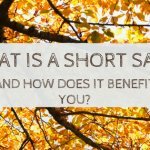 short-sale-options Archives | The Shenbaum Group, Inc.
What is a short sale and how does it benefit you in Los Angeles California? “Working with Jennifer & Lauren is working with a true professional team who really do care about the client, and a super job with fantastic results…I am a real estate agent who has been fortunate to have met Jennifer & Lauren & proud to have sold their homes once they have renovated them inside & out! I get to see the clients and how they react up close & personal after touring one of there properties. The clients all react the same way & love the workmanship from the inside to the outside. Jennifer doesn’t miss a thing…. They really get it… I look forward to working with them on many more projects in the future!! !